WHO SHOULD TAKE THIS OSHA HEARING PROTECTION TRAINING COURSE? You do if your workplace includes loud noises; and as we know, noisy workplace are very common. Noise can be generated from a whole range of sources including loud machinery, equipment or operations. Even traffic and voices can produce noise that is harmful to us. Regardless of the source, the effects or noise are predictable and the consequences preventable. To effectively protect you from the harmful effects of noises that might be present in your workplace, OSHA requires that each employer evaluate the workplace and determine if high noise levels are present. The safe level of noise is 85 decibel (8 hour Time Weighted Average), which is about the level that you would produce as you raise your voice to talk to someone close by. 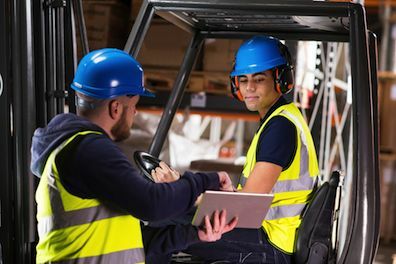 If you are exposed to these levels, OSHA requires that you have OSHA Hearing Protection training on the effects of the noise, and in the ways to properly protect yourself from the effects that it can have on your ability to hear. Additionally, our OSHA Hearing Protection training course is full of useful information to apply to your home. Common noise sources such as lawn mowers and vacuum cleaners can also produce harmful effects on us if we are not careful. This OSHA Hearing Protection training course is designed to provide training for workers that are exposed to noise at or above an 8-hour time weighted average of 85 decibels in their workplace. The OSHA Hearing Protection training program covers the Hearing Protection issues identified by OSHA in the regulation. Successful completion of the program will result in a OSHA Hearing Protection certificate documenting compliance with the OSHA training requirements.